Moscow, November 21, Interfax - Patriarch Kirill of Moscow and All Russia is sure that national reconciliation in Ukraine and restoration of fraternal relations between Kiev and Moscow are inevitable. “I believe this reconciliation is not just possible, it certainly will take place because only minority of people are involved in the conflict between Russia and Ukraine, the minority which we see on TV screens, those who march there and pronounce some aggressive slogans against Russia. 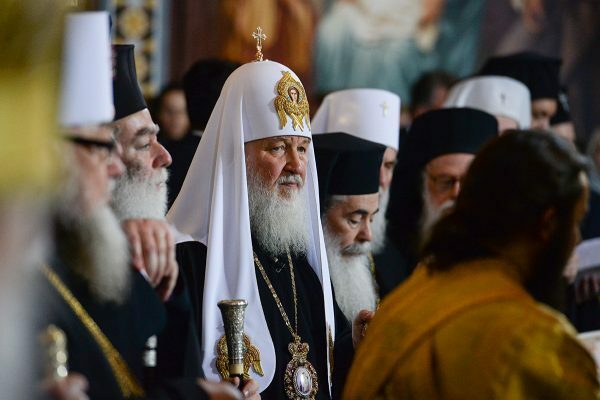 There also are some Russians who can not stand contemporary Ukraine,” Patriarch Kirill told Interfax-Religion in his interview on the eve of his 70th birthday. Patriarch Kirill especially hopes for mediation of the Orthodox Church in reconciliation in Ukraine. “What does this conflict mean at the background of a thousand years of the joint history?” the patriarch wonders. “We hope and believe that the Lord will grant His mercy to people of Russia and Ukraine, to people whom our Church give pastoral care,” he said.